A roulette strategy is usually a method designed to help roulette players win when playing roulette. The usual roulette strategy is governed by a set of rules for mechanical play and is usually very systematic. However, mechanical systems that do not take bet selection into consideration will ultimately fail. Even if bet selection is taken into consideration, a roulette strategy can still fail. There is no guarantee that any method will never fail. However, it is not all doom and gloom. There are highly creative approaches that can help you win consistently, and this is what you will find here. This is the most critical component which so many roulette players lack. You can't win without proper bet selection! You need to know exactly how much to bet each spin. Without proper money management, your bankroll is doomed! Timing is everything! Imagine if you able to bet timely on a strong trend, you would minimize your risk right?. Do you know how to do that? DO YOU HAVE A GOOD ROULETTE STRATEGY? Roulette strategies have existed as far back as the game itself and, the game is, without a doubt, one of the most iconic games in any casino. If you have ever set foot inside a real casino, you will recall the unmistakable lure and excitement of the roulette table. Eyes, on anxious faces, focus on the little white ball spinning round and round in the opposite direction to the wheel. 37 pockets (for European wheels) are ready and waiting for the ball to drop in as it decelerates, one revolution after another. As you observe the expressions on the faces of players sat at the table, the intense excitement of onlookers standing around the table is undeniable. This question must have crossed your mind and many others' minds ...what is the best roulette strategy to win at roulette? Ever since the invention of roulette, people from all walks of life have attempted to decipher the 'roulette secrets' and many scientists, mathematicians, statisticians, and even nuclear physicists, have attempted to create THE roulette strategy or roulette system that beat the house, but sadly, all have had limited success. Every roulette strategy or roulette betting system I know out there focuses mainly on the betting aspects (money management) to try and overcome the house edge - which is literally impossible. Check out some of the most popular roulette strategies (Part-I) in the free eBook below. 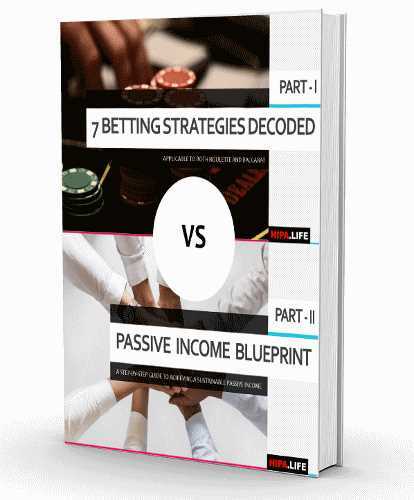 And since everybody is trying to make money playing roulette, this eBook comes with a bonus (Part-II) that gives you a blueprint to create passive income. THE BIGGEST PROBLEM of any roulette player is the BET SELECTION process. 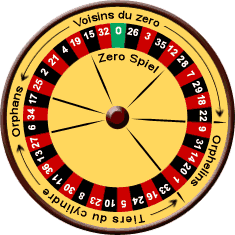 With 37 numbers on a European Roulette wheel, it is indeed quite a daunting task to pick a winning number. The Roulette Code's intent is to show you powerful roulette strategies that offer ways of tracking results to identify trends which you can leverage on. 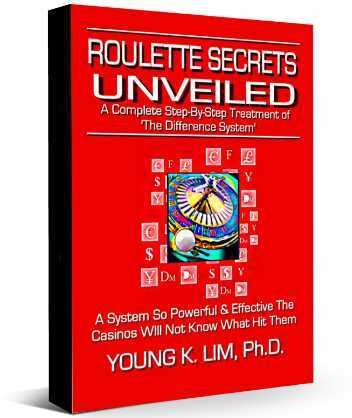 These roulette strategy ebooks are the complete collection written by Dr. Young K. Lim which formed part of his live one-on-one workshops which he no longer conducts. There are no chapters and chapters of introduction to the game or anecdotes just to increase the number of pages. There's no fluff! It doesn't matter if you are totally new to the game of roulette or if you are a seasoned player, these publications on roulette strategies have plenty to offer you. With almost 40 years of experience playing and researching the game of roulette, the author has developed and refined a really unique, simple, but extremely powerful system of analysis to swing the advantage in favor of the player. 'The Difference System' [TDS] is indeed a different and exciting approach and only a small group of people have had the privilege to learn the system and strategies by attending private workshops conducted by the author. The full course material is now available online and you can get instant access to it right now! 'The Difference System' and the method of analysis is the backbone of each and every roulette strategy presented here. The roulette systems below offer exciting roulette tips on the best way to play roulette and ultimately the best way to win at roulette. These books are not intended for beginners. They are meant for seasoned roulette professional players. Although the primary focus in on the single-zero European roulette wheel, with some adjustments, they can also be used for the double zero American wheels. 'Roulette Secrets Unveiled' is based primarily on materials used during those workshops, but with the addition of the latest 'Dynamic-D' strategy. Anyone thinking of playing roulette in any capacity should read this, and it is definitely a MUST READ for anyone contemplating a professional career playing roulette. Over 190+ pages with 150+ illustrations of power-packed information that every serious roulette player should know! When you KNOW "What To Bet" at the table, you are already miles ahead of all the other players next to you! The Dynamic-D strategy is literally hitting the casinos without them even realizing it! 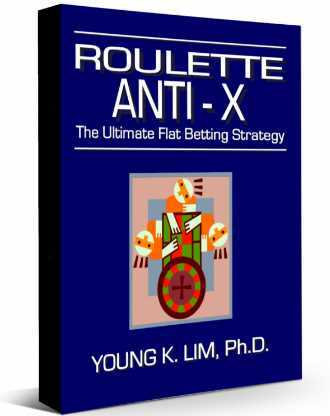 'Roulette Anti-X' is about flat-betting for those who do not like to play progressions. It is always wise to equip oneself with more than one strategy or approach to the game and 'Roulette Anti-X' is a unique and powerful roulette strategy well worth having under one's belt. Not necessary to chart extensively before you start betting - not boring! 'Roulette Reverse Dynamic-D' was published in 2017 and was only available as a printed book for the last 2 years but now, for the first time, it is being released here as an eBook. RRDD's approach to bet selection is based on reverse engineering the monitored values of Dynamic-D with the intention of mitigating the issue of divergence of fluctuations. 'Advanced Difference System 2.0' is the latest publication released (March 2019) by Dr. Lim and is currently his system of choice for roulette. ADS 2.0 is POWERFUL - VERY POWERFUL AND VERY ROBUST! ADS 2.0 not only completely eliminates the threat of a zero occurrence - it converts the threat into a positive advantage. ADS 2.0 has only one single point of failure - a very unlikely point of failure at that. Are these Roulette Strategy eBooks for you? and most gamblers are not mathematicians! I am sure you have come across online discussions in gambling forums where there will always be somebody (mathematician/s) tearing down on a system under discussion. They use simulators to test all systems for hundreds of millions of spins and then report that it failed. Who cares really? Even for the most prolific gambler who can play say 16 hours a day, and play every single day for 20 years, that would total just 2,336,000 spins (on an average of 3 minutes a spin). Real professional gamblers do not care if you have simulated results for 10,000,000 or 300,000,000 spins because the results are totally irrelevant because big data does not really apply when you play. The reason is simple - with simulations and tests, every single spin is played and taken into account. This NEVER happens in real live play! It is extremely rare for a player to bet on every single spin in a session of roulette and that is why results from simulating hundreds of millions of spins are totally useless and irrelevant. Nobody is disagreeing with what big data says, in fact, I think all professional gamblers acknowledge the facts. However, when you play you are going to be concerned only with what is happening at that moment and the implications of big data can be safely ignored. Anyone depending on the guidance of big data during live action should not be gambling at all, let alone gamble professionally! Want a roulette strategy that works? We have the most successful roulette strategy eBooks! Most books on roulette strategies are either too mathematical (which doesn't help anyone because they cannot be applied) or they are just focused on the money management aspects and based on well-known methods such as The Martingale, The Labouchere, The D'Alembert, The Fibonacci, The Parlay, or variations of all of them. However, without taking bet selection into consideration, these methods are not being optimally applied and will fail if simply applied mechanically. It is fair to say that there's probably NO mechanical system that can beat the game. But our primary objective is NOT to beat the game! Too many players spent too much time and money chasing after the 'Holy Grail'. They want to find the elusive system that they can apply like clockwork and win all the time without having to do any analysis. I have bad news for players like that - you will NOT find this system and you are wasting your time and money trying. The point is, you do not need to beat the game all the time in order to make a profit, and presumably that is the common objective? - to make a profit? If you agree then you are at the right place because we will open your eyes to various ways of tackling the game which you have never thought of before, and once you have these skills under your belt, you will be better equipped to give the casino a run for their money whenever you play roulette. I am NOT promising you a 'Holy Grail' system here, but with the knowledge you gain, you can formulate your own strategy to suit your bankroll and your personal style of play. How many spins have you tested this on? Have you run it against a database of 300,000,000 spins? How many units can I make per session? What is the maximum draw-down units ever? It doesn't really matter! Roulette is never going to be beaten mechanically so why worry about those issues? As mentioned earlier, nobody will ever play 300,000,000 spins in their lifetime. Irrelevant! As for bankroll and winning units per session, that will depend on your personal plan and capacity. You only formulate your plan once you have the skills to do so. What 'The Roulette Code' gives you are exciting ideas and guidelines that will increase your confidence. Fear is often caused by ignorance, and knowledge is power! Chance may bring you success on random occasions but that is not a long term viable approach. If you are serious about becoming a professional roulette player, being fully equipped and prepared will reflect your professionalism and commitment and consequently, your level of confidence will also increase. A 'prepared mind' will prevent missed insights and opportunities for a breakthrough during your game. Random flashes of insight simply do not happen and there's no imaginary little birdy whispering in your ears to help you win. Achieving success is simply not a result of random actions but they are directly linked to the time and effort you put towards data gathering, data analysis, strategizing, and eventual execution of your game plan. Look at the stock market or forex traders - they call it investing right? But in reality, that is the biggest casino in the world. Every investment is a gamble is it not? Sure it is, nothing is guaranteed! Do you think these traders and investors are investing randomly or do they utilize various tools to make an informed decision? Even then, NOTHING is guaranteed. The same applies to the knowledge you will learn here - NOTHING IS GUARANTEED. I want you to be absolutely clear about this. I don't want to give you any false promises of guaranteed 100% wins like many system sellers do. On the contrary, I am going to tell you that even after you have learned the knowledge from here, you may still lose your bankroll at some point because there are just too many variables which are not predictable nor controllable and there will be that one occasion when you play 'the session from hell' and you will lose! The sooner you accept this reality, the sooner you will be able to open your mindset to new ideas that can help improve your game while minimizing the risk of an all-out loss of your bankroll. And even if that did happen on a rare occasion, hopefully, you would have sufficient previous winnings kept in reserve to sustain the loss and ride out the perfect storm to fight another day. Click the box below RIGHT NOW for the best roulette system!